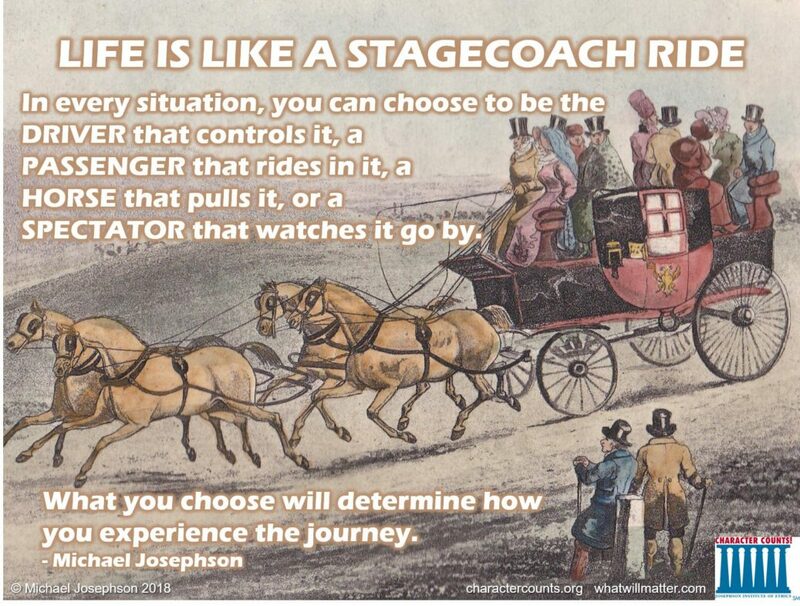 Life is like a stagecoach ride. In every circumstance, you can choose to be the DRIVER that controls it, a PASSENGER that rides in it, a HORSE that pulls it, or a SPECTATOR that watches it. What you choose to be determines how you experience the journey.